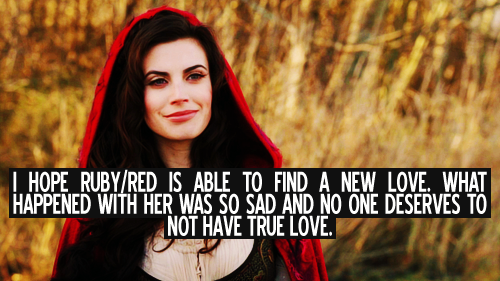 Red Confession. . Wallpaper and background images in the Red Riding Hood/Ruby club tagged: red riding hood once upon a time meghan ory season 1. I agree! I have been hoping she will get a love interest since I saw Red-Handed!